There were plenty of rumblings about a new bait coming from Rapala as we led up to this year's Bassmaster Classic. And this morning with a gusto, Rapala released many press releases, videos and some stores have started taking Pre-orders. It appears that these baits will be ready to ship mid-to late March. 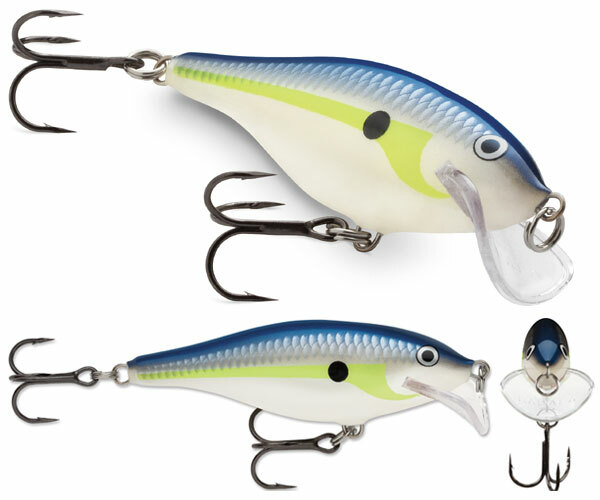 The concept of this hew series, are long time producing Rapala bodies and profiles paired with a new concept lip design that is designed to make these baits hunt and search on their own. Basically giving you the effect of a bait deflecting off a piece cover without the need for cover. Here is a video of Ott Defoe reviewing the Scatter Rap Shad, which is a Shad Rap body with new lip design. I think it will be interesting to see if Mike "Ike" Iaconelli, Brandon Palanuik or Ott Defoe can leverage these into some kind of advantage during this Classic, likely it would be the Scatter Rap Shads of the four they are launching! Usually there is a lot more noise about when Havoc baits hit the shelf, if I wasn't signed up for email newsletters, I would have not heard that about 5 brand new profiles have been released and some new sizes of old favorites. 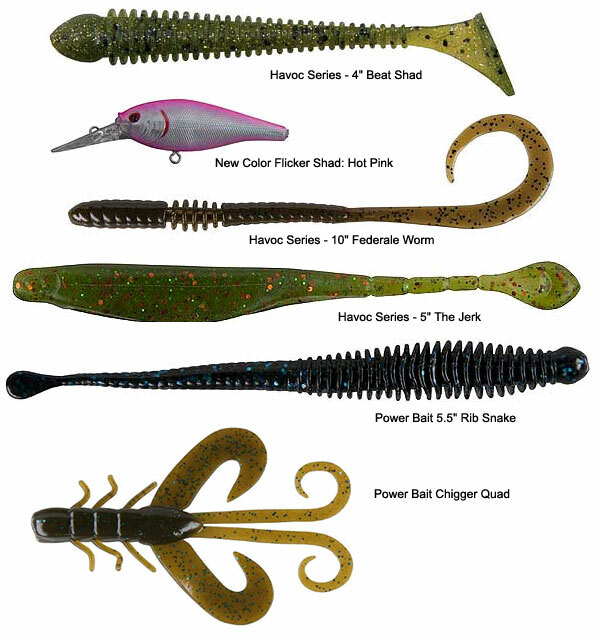 New baits include: Power Bait Chigger Quad, Power Bait Rib Snake, Havoc The Jerk, Havoc Beat Shad and Havoc Federale Worm. New Sizes with existing baits include: smaller 3.5" Havoc Devil Spear and a bigger 5" Havoc Pit Boss. Give them a look. I think I am most interested in the 4" Beat Shad, Rib Snake & 5" Pit Boss, but there are plenty of other cool profiles beyond these that other anglers and bass will love.